In the 1950s and 1960s, pop art offered a stark contrast to abstract expressionism, then the dominant movement in American art. The distinction between high art and popular culture was assumed until artists like Jasper Johns, Roy Lichtenstein, Robert Rauschenberg, Andy Warhol and others of their generation challenged a whole range of assumptions about what fine art should be. When pop art emerged on the art scene, it was eagerly embraced by an enthusiastic audience. The artists became celebrities and demand for their work was high. One reason they turned to prints was to satisfy this demand. They favored commercial techniques such as screenprinting and lithography with which they could produce bright colors and impersonal, flat surfaces. As editioned multiples, prints were more widely available and affordable than unique works of art, and pop art imagery was readily reproduced in the popular press. 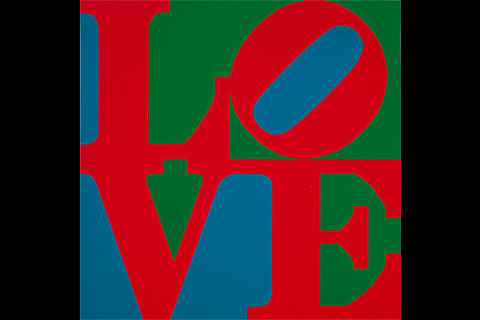 Pop Art Prints presents a selection of thirty-seven prints from the Smithsonian American Art Museum’s permanent collection. The installation includes works from primarily the 1960s by Allan D’Arcangelo, Jim Dine, Robert Indiana, Jasper Johns, Roy Lichtenstein, Claes Oldenburg, Mel Ramos, Robert Rauschenberg, James Rosenquist, Andy Warhol and Tom Wesselmann. The installation is part of a series that highlights objects from the museum’s collection that are rarely on public view. The prints on display were selected by Joann Moser, deputy chief curator. Pop Art Prints is organized by the Smithsonian American Art Museum. The C.F. Foundation in Atlanta supports the museum’s traveling exhibition program, Treasures to Go.